My CR belt has 149 teeth. The G0500.1 AMG has 145. It is literally impossible to get on. What do I do? You have an "R" belt, not a "CR" belt. You need the G0500.1ATB that fits the 2009 - 2010 CR only. 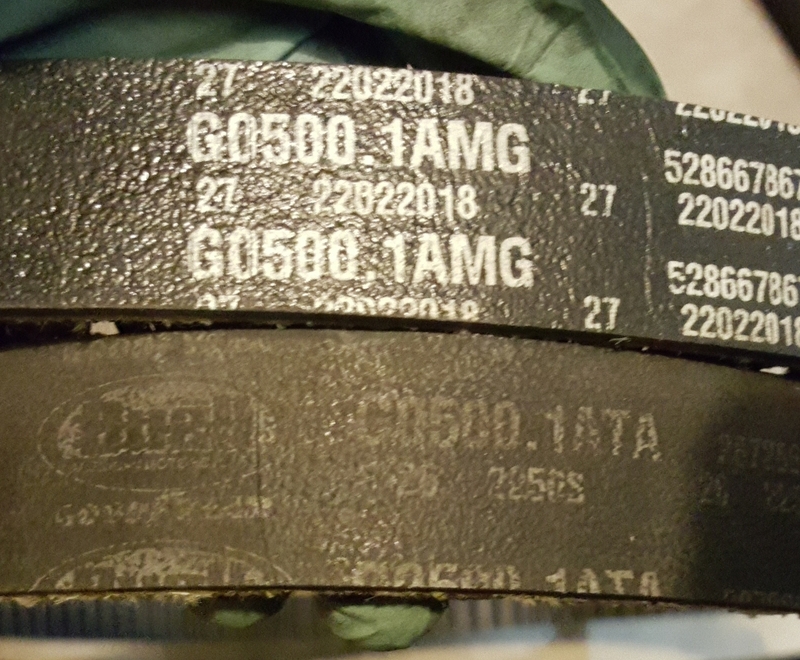 How many miles on your original belt? 10610. It has a weird gash on it as shown in the pic. Other than that, there is nothing wrong with it.